Seriously, just see if they want some before they cash out. After I’ve had a couple beers and I’m ready to close my tab, I’m pretty easily convinced to take a bottle, can, crowler or growler of my favorite home, but if the bartender doesn’t put this little bug in my ear, I’m most likely not even going to think about it. Through research collected through Secret Hopper, based on 2,300 non-paid brewery visits, we discovered that brewery staff ask guests if they would like to purchase to go beer 18.6 percent of the time. 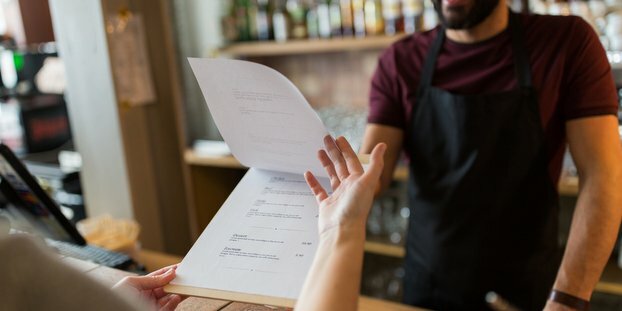 When staff doesn’t ask this question, guests only purchase to-go 9 percent of the time – this constitutes a purchase they decided to make on their own. When staff does ask this question, guests purchase beer to-go 49.1 percent of the time. This 40.1 percent difference could be making/costing your tasting room quite a bit of additional revenue. From the study’s data, we can conclude that the average brewery asks 18.6 guests out of 100 if they would like to purchase any beer to go. Out of the 18.6 guests asked, 9.1 guests make a to-go purchase. Using the to-go price of $15, the average brewery receives $136.99 in to-go sales per 100 guests. Assuming this rate stays constant, if 100 percent of guests were asked about purchasing to-go beer, this would result in 49.1 guests purchasing $736.5 in to go sales. This is $599.51 more in to go revenue than our study’s average. To-go beer is a key way your brewery can increase in-house revenues. As shown, a simple question can ultimately trigger a guest’s thought process and encourage them to make an added purchase. It is your brewery staff’s engagement that encourages guests to make this added purchase. Not only does a brewery receive the financial gains of additional to-go beer sales, but the staff will also see the financial rewards as their higher checks will result in greater tips, making the assumption that the guest will tip on the overall purchase and not just the beer consumed in-house. Guests that make a to-go purchase are likely to return to your brewery sooner than guests who do not. Secret Hopper experience showed 27.9 percent of guests who make a to-go purchase plan to return within 1-7 days. Only 20.7 guests who do not make a to-go purchase plan to return within 1-7 days. Moreover, 7 percent of guests who do not make a to-go purchase also do not plan to return to the brewery visit. On the other hand, only 3.2 percent of guests who do purchase to-go beer do not plan to return. To-go purchases are a great way for your brewery to create brand advocates outside your tasting room. Any to-go purchase represents someone who has made an investment in your brand — 96.8 percent of those purchasing beer to go also would “recommend/return to” that brewery based on the experience. The simple question “Would you like to purchase any beer to go?” or a similar iteration is a valuable (and super easy) tool to make your brewery even more successful.